Spectacular opening for WorldSkills in Abu Dhabi. – 10,000 supporters, 1,300 competitors, 51 skill categories and 60 countries. Exciting recognition of skills. 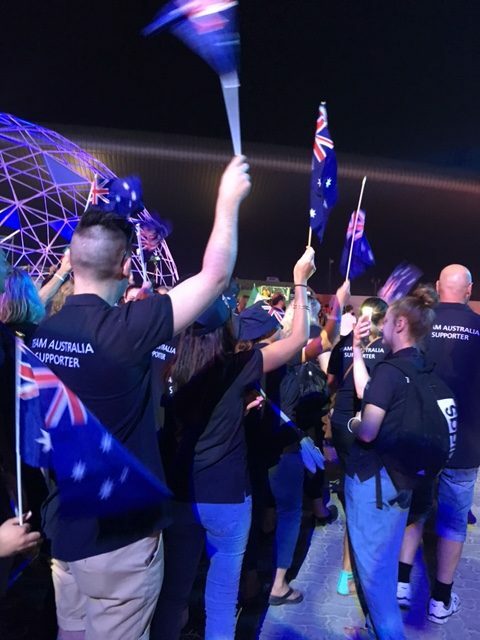 Team Australia supporters, including IBSA CEO Patricia Neden, were there in full force and great voice.